Welcome to Radio Ecoshock. I’m your reporter, Alex Smith. Later in this program we will tackle a serious world-wide problem seldom discussed: the toxic and harsh environmental impacts of mining. We have a case study from the United States, the Polymet mine proposed for Northern Minnesota. Our environmental correspondent Gerri Williams has been on the job, with original interviews from activists – local people really – trying to protect nature from yet another hack-job. This isn’t a story about Minnesota or even America. Giant mines are operating or being developed all over the world, to feed our consumer desires. They spew pollution, carve into wilderness, and leave behind heavy metal leaching into rivers and lakes for hundreds of years. It’s Canada, Australia, Africa, Asia, and all the European companies carving giant holes into the crust of the Earth. Before we get there, I need to alert you to yet another disgusting development coming from the world nuclear Mafia. It’s a general go-ahead to dump hundreds of thousands of tons of radioactive water into the Pacific Ocean. Incredibly, everyone from the American head of the NRC, to the International Energy Agency, and Japanese authorities are giving a green light to empty those thousands of radioactive tanks at Fukushima right into the Pacific ocean. Who gives anyone permission to make the seas more radioactive? Why can’t the country that used dangerous nuclear power keep the inevitable mess to themselves? Let’s dig in deeper to recent developments at the triple-melt down that is the Fukushima Daiichi nuclear catastrophe. It’s hardly worth mentioning this site has set a new all-time record for radioactive pollution. “Now media in Japan on this Tuesday are reporting that the level of radiation detected in an observation at the crippled Fukushima Daiichi nuclear power plant has soared to an all-time high. Prime operator TEPCO said that 1.1 million becquerels of Beta ray emitting radioactive had been detected per litre in water samples taken on November 28th. And people try to tell you this accident is over. According to the nuclear industry, 1 million becquerels of radiation is equal to 1 kilogram of what they call low-level radioactive waste – here found in every single litre of water. Water is now a huge issue at Fukushima Daiichi. Estimates of the amount of highly radioactive water being pumped each day are hard to get, or vary widely. The consensus seems to be about 600 tons a day needs to be stored, perhaps 300 tons being pumped into the ground buildings trying to cool the escaped hot reactor cores, and another 300 tons of ground water flowing down that hill into the site, and mixing with those cores. See these estimates in the Guardian newspaper for example. Those numbers are too round and neat to be real, but they give you an idea. All that is being pumped through a maze of make-shift hoses into over 1,000 tanks on the site. These tanks, we know from mainstream news reports, were shoddily made, bolted together without welding, by inexperienced workers dragged in from all over Japan. On December 5th, Reuters reported the workers were brought in illegally, at time recruited by the Japanese gangs. Workers admit they assembled tanks in weather that did not permit proper sealing. There have been regular leaks of highly radioactive water from these tanks. The Japanese admit up to 300 tons a day of water is escaping already into the Pacific, a continual source of serious radioactivity. The tanks were a make-do solution. They are only designed to last until 2016. A new report from the Japanese Ministry of Industry says the Fukushima site will run out of room to store radioactive water within two years. The chair of the American Nuclear Regulatory Commission, Allison MacFarlane was in Japan on December 6th, when she said, at a press conference at the American Embassy, that the International Agency for Atomic Energy’s recommendation to dump radioactive water into the Pacific was “appropriate”. Still not convinced they are all in on this? Listen to this brief clip from ABC Australia back on November 20th, under the headline “TEPCO clean-up boss says Fukushima’s radioactive water will be dumped into Pacific Ocean” as reported by ABC’s North Asia correspondent Mark Willacy. Willacy: “He’s the former chief watchdog in the United States. Now Dale Klein is overseeing TEPCO’s efforts to stabilize and clean up the shattering Fukushima nuclear plant. Willacy: Challenging on many fronts, but particularly when it comes to dealing with the growing volume of contaminated water stored at the plant. Dale Klein believes that after the water is treated and stripped of most radioactive elements, it’s be safe to dump into the Pacific. So, TEPCO and/or the Japanese government will decide when it is “safe” to dump their giant cache of nuclear tainted water into the Pacific. The rest of us will have to take their word for that safety – from a government and utility now famous for either lying or withholding the truth for long periods of time. It’s easy to picture the site running out of storage, and a “necessary” decision being made unilaterally by Japan to start dumping the still-radioactive water into the Pacific. Will they even tell us when it starts? Has it started already? With the new Japanese law against revealing any “secrets” denominated by the state, we may never know. like plutonium and uranium. They realize Cesium will still be dumped into the Pacific, plus large amounts of Tritium. They always say Tritium is perfectly natural, go ahead and brush your teeth with it, but that’s not at all true. Then they blatantly say that all operating nuclear plants leak Tritium daily, which you seldom hear. Now they tell you, – to bless dumping Fukushima’s problem into our common ocean. worth. Remember, the tanks will be full by 2016, and weren’t designed to last beyond that. There is some resistance. On November 7th, a consortium of anti-nuclear groups presented a petition of more than 150,000 signatures to UN Secretary-General Ban Ki-Moon, demanding a global takeover of the Fukushima disaster, for the protection of all. A Japanese group has another petition calling for a strict government policy against contaminating the Pacific with Fukushima radiation. Contact nukefree.org for more information on what you can do. Bottom line: do you accept that hundreds of thousands of tons, perhaps soon to be millions of tons, of highly radioactive Fukushima water will be dumped into the Pacific Ocean? If that’s not OK with you, time is limited. of the people of the world is we sleep-walk through this awful plan. Next we turn to our guest host for this week’s show. Gerri Williams. Our fearless D.C. Correspondent moved up near Lake Superior. Sure enough, she’s right in the thick of it there, in the battle to help save that Northern wilderness from a really ugly mine by the Polymet Corporation. 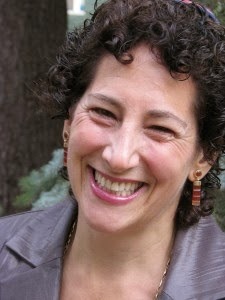 In our first interview, Gerri interviews Paula Maccabee, representing waterlegacy.org. They are battling a copper-sulfide mine by the Polymet Corporation, proposed for an ecologically sensitive area in Northern Minnesota, USA. Officially, Glencore is listed as an Anglo-Swiss company trading on the London Metals Exchange. The largest single shareholder is reputedly Glencore Chief Executive Officer Ivan Glasenberg. But I don’t really know whwho controls the company. After the $30 billion dollar merger with Xtrata, the new company is the fourth largest mining corporation in the world. This combined company has sales larger than the budget of the whole state of Minnesota. Glencore Xtrata are also climate-wreckers. Before the merger, Xtrata bought the Australian and South African coal mines previously owned by Glencore. In fact, Glencore/Xtrada is the single largest exporter of coal for power generation in the world. Number one climate wrecker! Ten percent of all coal shipped on the high seas comes from Glencore/Xtrata mines. Glencorextrata also owns the giant copper-lead, zinc mine called Falconbridge in Sudbury Ontario, plus mines in Peru, the Dominican Republic. It has tentacles all over the world. During the first 8 years of mine operation in Minnesota, we are told all the copper will go to China. Maccabee, an experienced public interest lawyer, tells us of a study that found despite environmental assurances, 9 out of 10 mining companies leave pollution behind them. In this case, unlike the desert environments where many copper mines operate, the tender wetlands of Minnesota will be polluted for centuries. Coppper-sulfide mines have a history of leaving behind mercury contamination as well. Paula also tells us the Native American people, including their famous wild rice harvest, are at risk. In reality, recycling copper uses 10% of the energy of new mining. We have lots of the stuff already above ground, but don’t recapture enough of it. 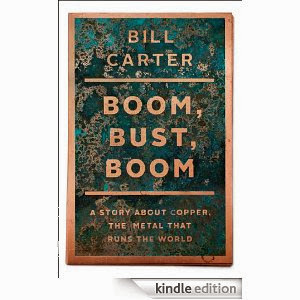 Then it’s Bill Carter, author of “Boom, Bust, Boom“, the story of world copper mining. Bill is originally from California, and is an award-winning documentary film maker. We start from the humble former copper town of Bisbee Arizona (where Radio Ecoshock is broadcast on KBRP!) through Alaska, and around the world. It all began when Bill tried to plant a garden in Bisbee, and found the soil had been wrecked for generations by a copper mine. There was no technology to fix soil poisoned by heavy metals. Copper itself is poisonous to fish. And these mines, as Carter explains, leave behind other heavy metals that are toxic for thousands of years. Bill and Gerri talk about the Pebble Mine in Alaska, about 300 miles West of Anchorage, in rugged country. It’s right near Lake Iliamna, Alaska’s largest lake, and the birthing grounds of half of the world’s stock of sockeye salmon. Only 14 miles of soggy Tundra separate Pebble Mine from this lake. Eventually the open pit holes can fill back up with water, like the Berkeley Pit mine near Butte Montana, which is now highly toxic. Find out more about Bill Carter at his web site. have so far held off the Fish Lake Mine. And those in Australia trying to kill off the gigantic climate-wrecking Alpha coal mine. Out of time again, for another week. Keep listening to Radio Ecoshock at www.ecoshock.org. I’m Alex Smith. Please support this program if you can. 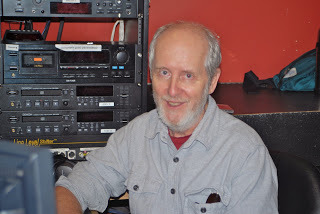 Thank you for listening, and let’s check in again next week, when I talk over the violent and unusual weather, plus Arctic methane, with climate scientist Paul Beckwith. Dr. Richard Feely from NOAA will also be our guest, as we look into the alarming rise of ocean acidification. We’re heading out with more music from northern Minnesota, from a group of artists called the Arrowhead Story. ← Why Is The Weather So Crazy?